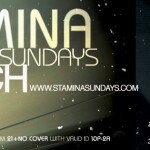 Stamina Sundays San Francisco March 17th 2013 with DJ Construct and A-Sides. 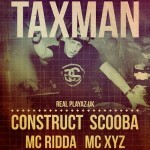 Respect Presents Taxman with DJ Construct. 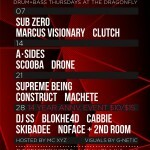 March 22, 2012. 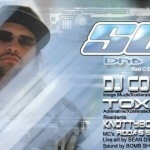 Also with DJ Scooba, MC Ridda and MC XYZ. 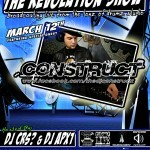 The Revolution Show March 12, 2012. 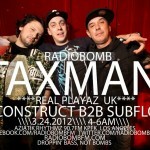 Be sure to tune in 8-11pm PST for some Heavy D&B bizness with DJ CRS?, Apx1 and our guest Jeremy Fitzgerald aka DJ Construct!!! 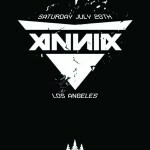 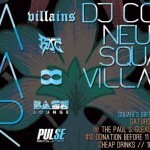 VILLAINS, along with support from Enuf Talk, brings you it’s official launch party, along with Square’s birthday party! 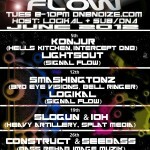 featuring DJ Construct, Neuropunk, Square & Prozak Morris, and the VILLAINS Crew.